As every parent knows, each child is unique in their own way, with no two having the exact same view on the world. That’s what makes childhood such a magical time. But when it comes to children with special needs, it’s important to understand this is an umbrella term for an array of diagnoses that covers everything from developmental delays, medical and psychiatric conditions, to congenital conditions that require accommodations so children can reach their potential. For parents, getting the correct designation is crucial as it helps them obtain the right services and gain an understanding of their child and any stresses the whole family may face. In the UAE, this is an area that has seen huge advances in the past decade, with residents now having a wealth of professional resources on hand at specialised centres. A good example is Riverston Children’s Centre (RCC), which provides expertise and support from a multidisciplinary team. Recently named the Gold Winner for Best Special Needs Education Centre in Dubai, it provides a three-dimensional model to support inclusion in the UAE — an Early Intervention Programme (EIP), therapy, and training to assist teachers, healthcare professionals and parents. “The evidence behind early intervention is unwavering,” explains Niamh O’Shea, Centre Manager at RCC. “Extensive research shows that the key time for children to make the most gains in their development is when they are younger than six. Over at Dubai’s SNF Development Center (SNF), the emphasis is on empowering young adults with special needs. It offers support to students above the age of 14 and strives to aid them in becoming self-sufficient, both personally and professionally. “SNF provides a holistic learning platform to students through different departments that facilitate active engagement on behalf of the students, thereby helping them unlock their potential and achieve as much independence as their abilities allow,” explains the founder and director, Safia Bari. She is keen to see society let go of misconceptions about people with special needs. “People stare out of curiosity and sympathy, treating them differently and are often unable to accept that individuals with special needs should be treated just as you and me,” she says. Meanwhile, Hope Abilitation Center — a hands-on interdisciplinary paediatric neurological facility in Dubai — uses state-of-the-art techniques and covers areas such as augmentative and alternative communication (AAC), feeding therapy, occupational therapy, sensory integration, and hydrotherapy. If you are a special needs parent, I would like to promise you that it will get easier. That happiness will find you again and that your child will amaze you. And when it comes to parents getting an autism diagnosis for their child, it can seem a frightening proposition, yet expertise in this field has come a long way. 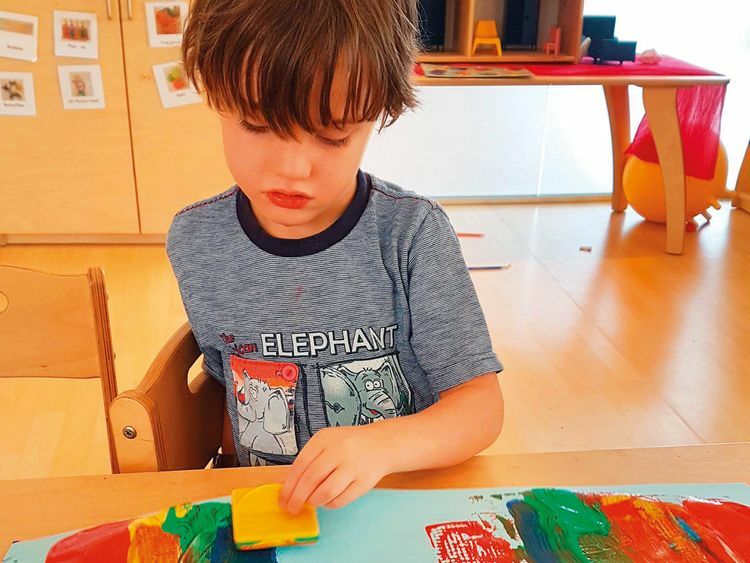 Nicholas Orland is Managing Director of Allied Health Services at Dubai’s Autism Rocks Support Centre, which holds strong experience in ABA, an evidence-based science that is considered one of the premier treatments for children on the autism spectrum. It teaches skills that the child does not yet have, such as making eye contact.